A Sikh couple went to a wedding party held in August 2003. Mr. Bhamra, a research chemist, and his wife had travelled from Birmingham to Forest Gate in London to the Sikh wedding at the Ramgarhia Temple. Mr. Bhamra was allergic to eggs, and knew of his allergy. Egg allergies only affect 0.1% of the population, but as Sikhs do not eat eggs he considered that any of the food he would have eaten was safe. Eggs are strictly forbidden at Sikh temples, and the caterer knew this. Unfortunately, more people attended the wedding than had been expected, and as the guests swelled to over five hundred in number, the caterer realised that he was going to have to bring in extra food. The caterer, who was also a Sikh, sent out for extra supplies from external sources. 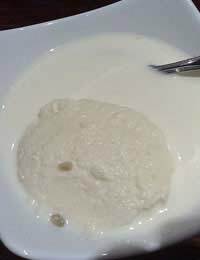 One of the dishes supplied was ‘ras malai’, which is a dessert made of sugary balls of paneer soaked in clotted cream. The recipe for the dessert that was supplied, after the food began to run short, contained eggs. The caterer who had supplied the ras malai denied that he had used another supplier to supply extra food. The court of appeal, however, found that he had done exactly this. The court also found that as a caterer he was aware that some recipes for ras malai contained eggs, but that it was not necessary for him to have issued warnings to the wedding guests because so few of the population suffer from the allergy. Some Sikh sects are vehemently against the consumption of meat and eggs, although they do eat milk, butter and cheese. The allergy sufferer had therefore been entitled to feel that there would not be any eggs in the food that was supplied at the wedding. The court of appeal upheld the original judgment at Oxford County Court, which was that the caterer was ordered to pay damages in the sum of £415,000 for negligently supplying food that contained eggs. As the caterer had appealed and because of the delay in time from the original incident to the court of appeal hearing, interest was awarded in the sum of £35,000. Caterers, and others supplying services and goods to the public, have a duty of care to those that consume their products. This case highlights what can go wrong when that duty of care is not properly observed.